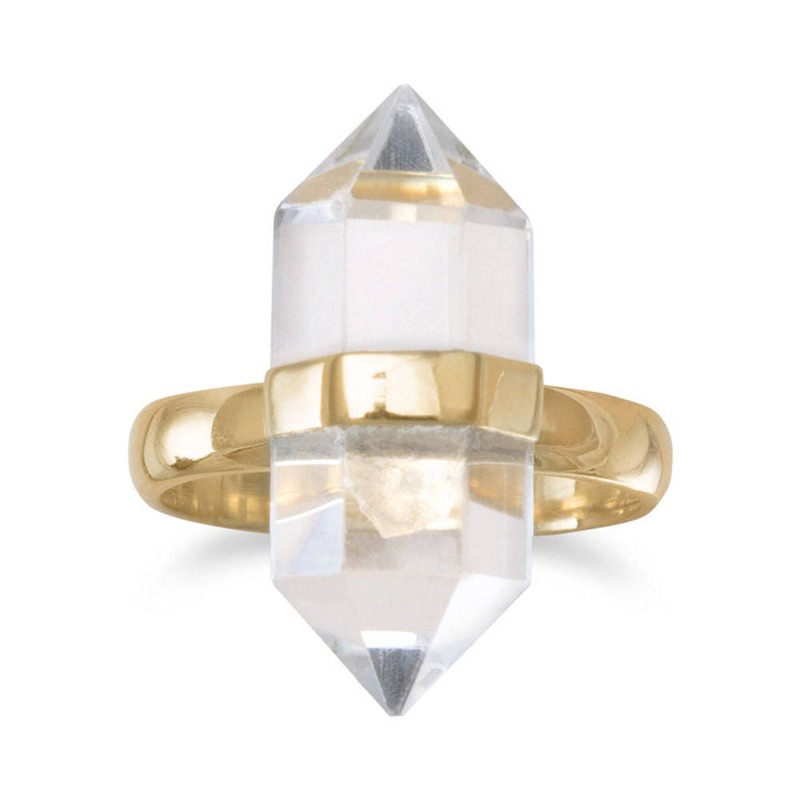 14 karat gold plated sterling silver clear quartz ring. The clear quartz is approximately 9mm x 22mm. The band is 3mm.